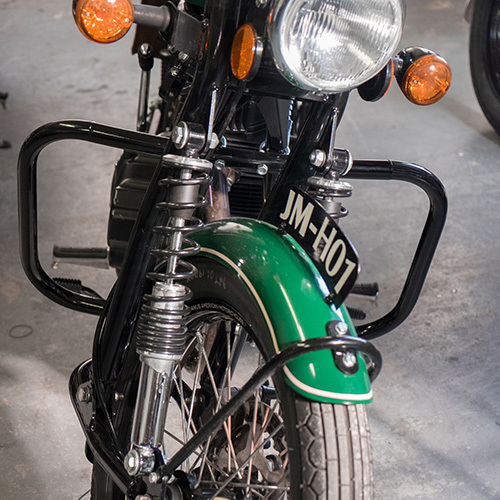 The Janus Halcyon 250 channels its timeless, classic design from some of the earliest and most beloved forms in motorcycling. It is a lightweight and accessible machine, with a simple and durable powerplant, easy-to maneuver handling, and simple controls. Its mission is to allow riders of all stripes to experience the exhilaration and pure enjoyment that two-wheeled travel provides. 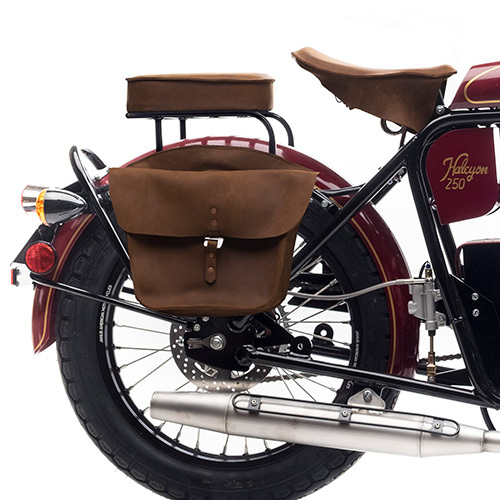 If the spirit of motorcycling is freedom, the Halcyon channels that spirit with a completely unencumbered, classic sense of panache. 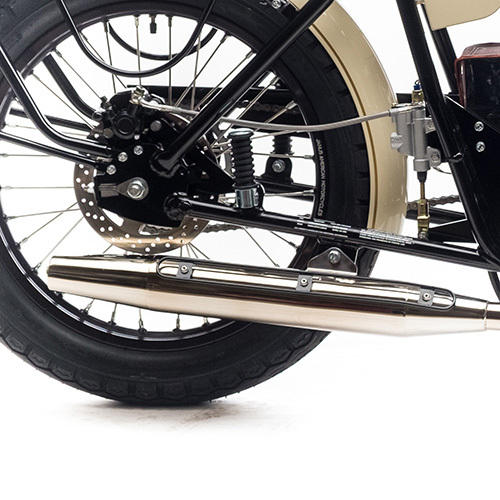 We’ve built our business around keeping the human element in each motorcycle, merging the best of custom building with modern manufacturing. 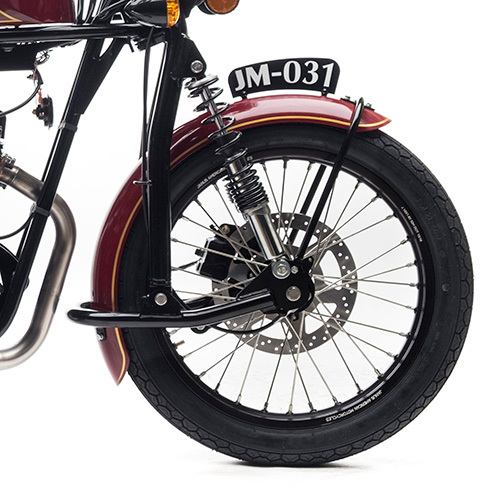 The result is a motorcycle that avoids the quirks and pitfalls of custom one-offs, but retains its one-of-a-kind soul in a market of one-of-a-million machines. Heart and soul are built into every Halcyon 250. Small, lightweight motorcycles have distinct advantages over the over-powered, unwieldy, and large motorcycles that are so popular today. 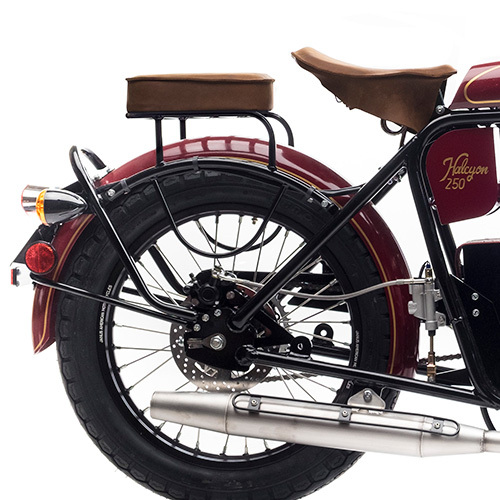 The Halcyon weighs 245 pounds, and our single-cylinder 229cc motor provides the get-up-and-go the nimble Halcyon needs. 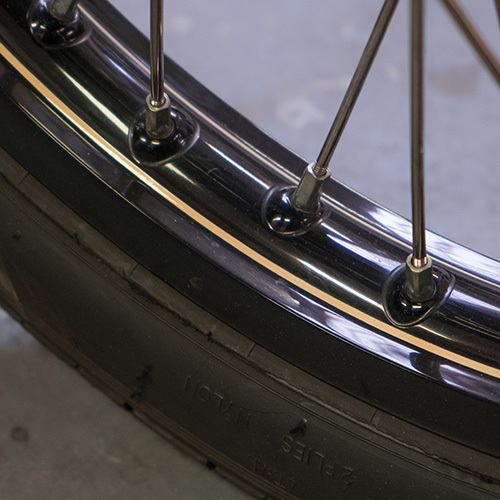 Modern disc brakes and stainless brake lines provide incredible stopping power. The result is a perfect pairing of size and power that gives riders exactly what they need for the kind of riding they love most. 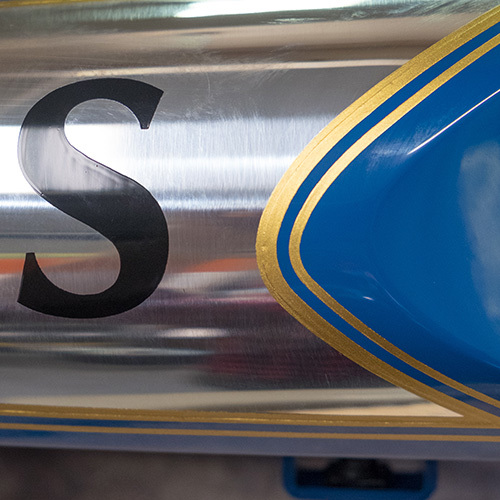 Ordering a customized Janus Motorcycle is easy. Janus 250s are available to all 50 states. Contact us regarding international orders. All motorcycles are built to order. Lead time is 10 weeks.